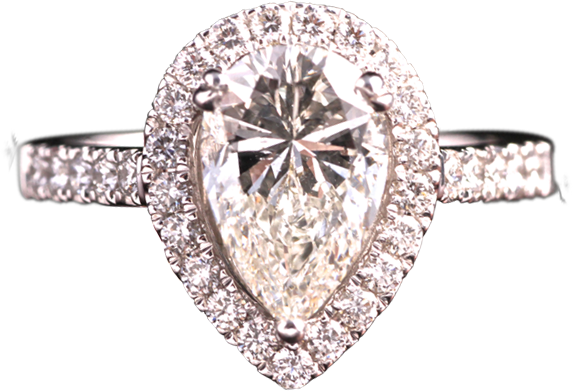 Very few moments in your life will be as important as selecting the right engagement ring for the person you love. The decision may seem easy at first, but then you start to take in so many varying factors; shape, clarity, size or color? Should you include a precious stone? What about the setting, and does it look best in gold or platinum? Come in and see the friendly people at Andrews Jewelry Store, and let their low- pressure experts work with you to find the right piece for you. We do not work on commission, so your interests match our interests in finding something you’ll be proud to wear for many years to come. We carry a large selection of loose, GIA certified diamonds, or we can show you any of our completed rings that will help you decide which is best for you. There are a lot of things to consider, so we recommend you work with people who will take the time to explain things carefully, so you understand what it is you are actually paying for. Our sales associates are happy to help you with any questions you may have, and take you through our large selection of engagement diamonds and rings. 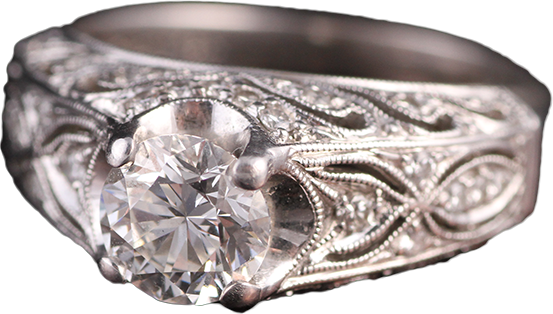 We would love to help you find the perfect ring. We can create that special piece you are imagining. We can do diamonds mixed with colored stones, or let the colored gemstones be the centerpiece, with diamonds as the surrounding elements. Whatever you can imagine, we can work with you to create that one-of-a-kind piece that will be handed down for generations. See our EXCLUSIVELY ANDREWS page for more information. We pride ourselves in our large and growing number of loyal customers. Many people who purchased engagement rings from us often return for anniversary gifts, graduation pendants, “push presents” and multiple other occasions. 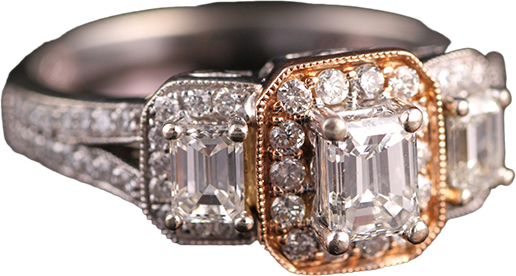 Trust in the fact that we will give you the best price and the best stone available, and will beat any other jeweler in town. Check with us first before you buy elsewhere, and let us take care of you.